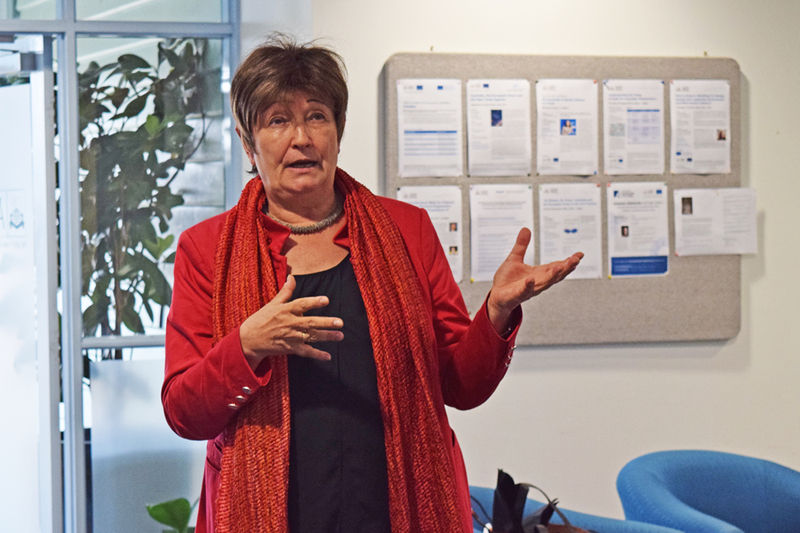 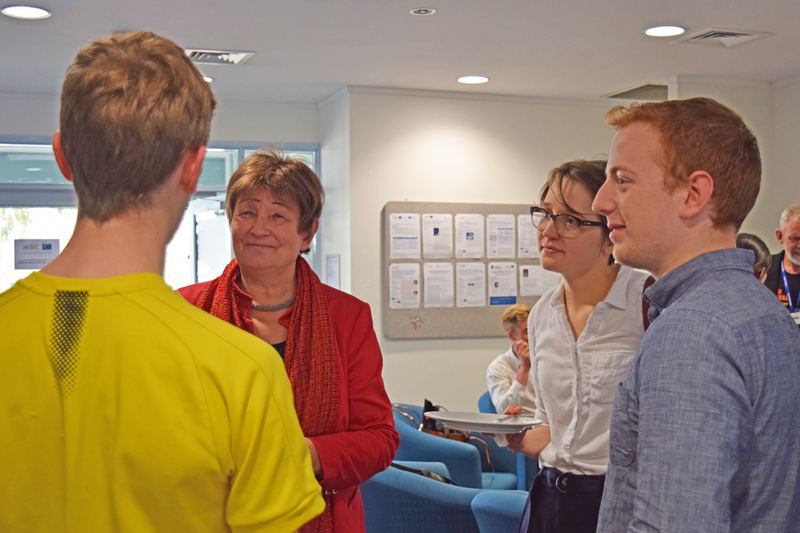 Dr Dorothea Rüland, Secretary General, DAAD (German Academic Exchange Service) visited The Australian National University on 5 November to discuss ANU-Germany collaboration across research and education. 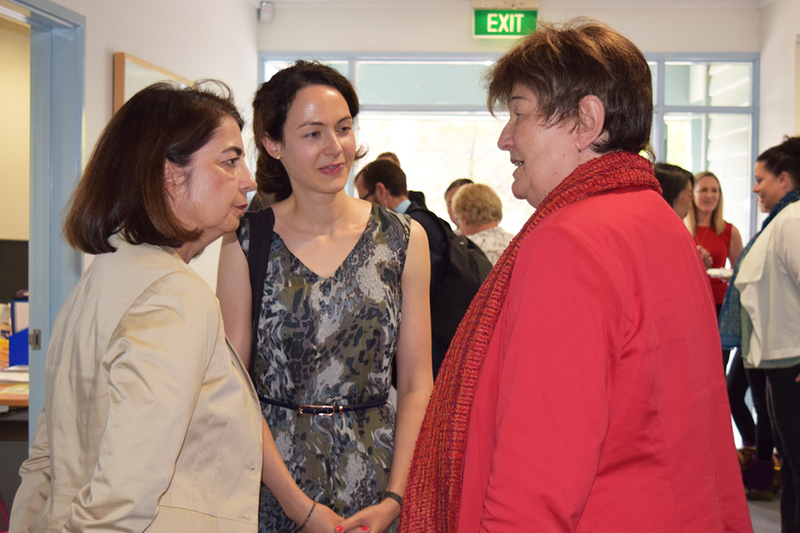 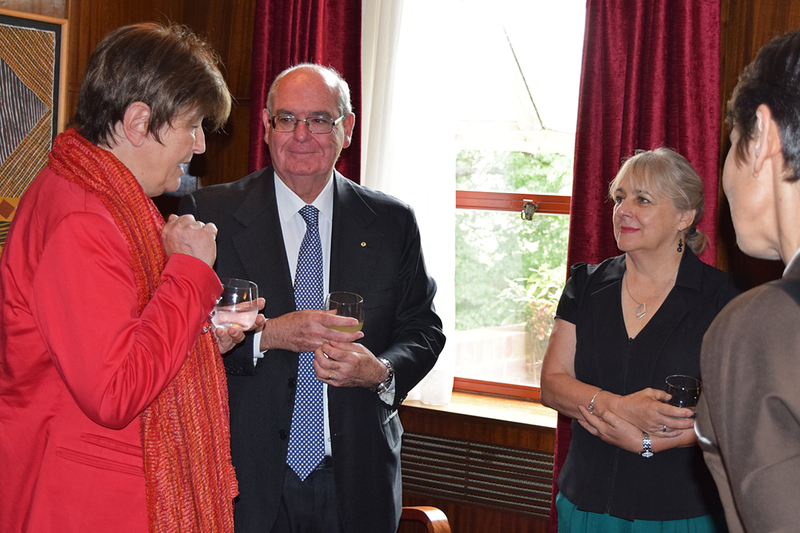 Dr Rüland was joined by Mrs Susanne Körber and Dr Judith Reinhard from the German Embassy, Canberra. 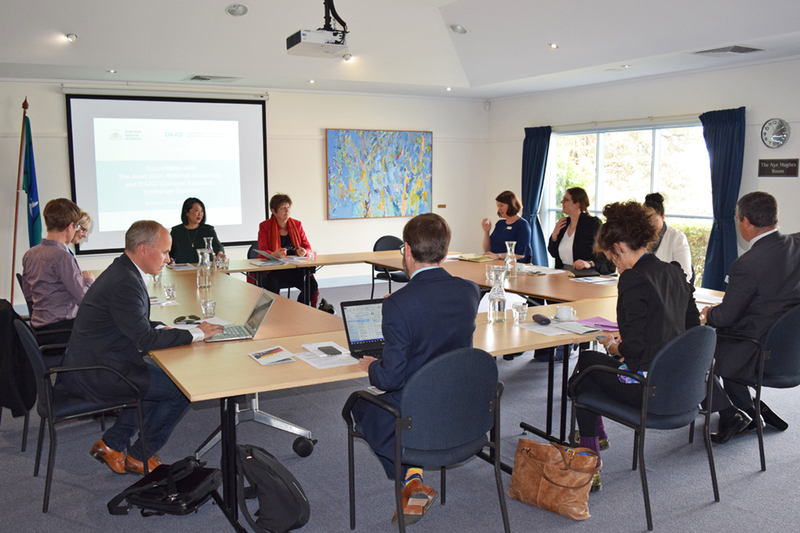 Dr Rüland's visit began with an executive lunch attended by Professor Mike Calford, ANU Provost; Professor Marnie Hughes-Warrington, ANU Deputy Vice-Chancellor (Academic); Professor Rae Frances, Dean, ANU College of Arts and Social Sciences; Professor Jacqueline Lo, Associate Dean (International), ANU College of Arts and Social Sciences, and Executive Director of the ANU Centre for European Studies (ANUCES); Mr David Ritchie AO, former Australian Ambassador to Germany; Dr Annmarie Elijah, ANUCES Associate Director; Ms Anne McNaughton, ANU College of Law Senior Lecturer; and Dr Katie Sutton, ANU German Studies Program Convener. 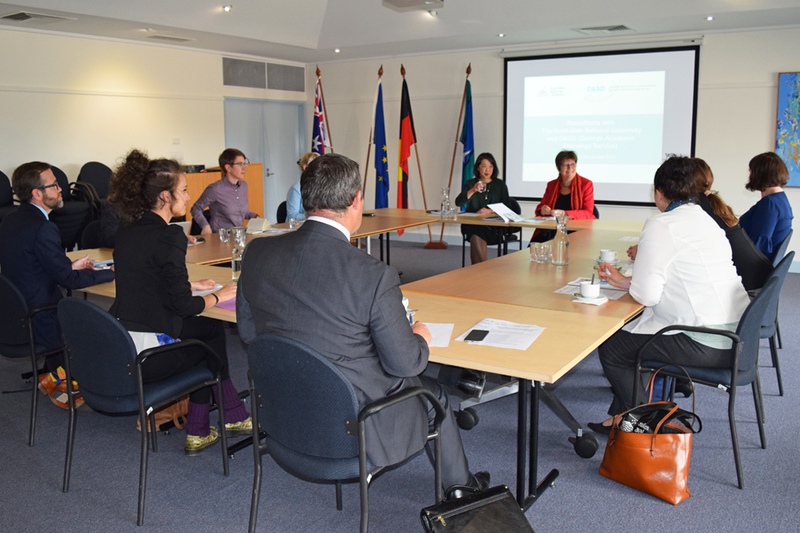 Lunch was followed by a closed roundtable discussion with ANU academics working on Germany, including Associate Professor Laurence Brown, Professor Patrick Dumont, and Dr Anna-Sophie Jürgens. 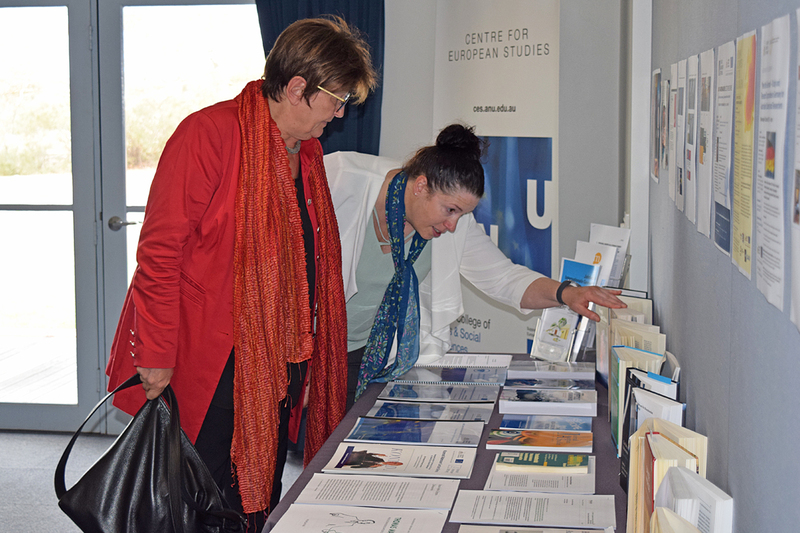 The roundtable was alongside a publication display showcasing a vast array of Germany-related works by ANU academics. 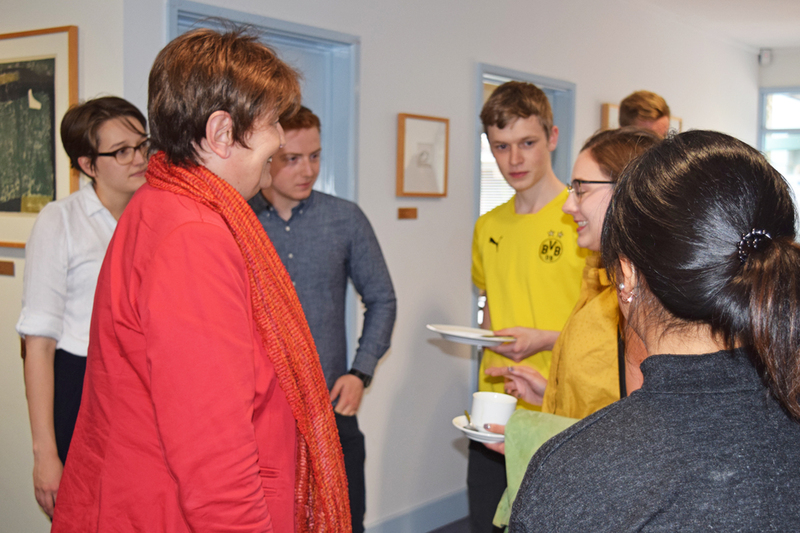 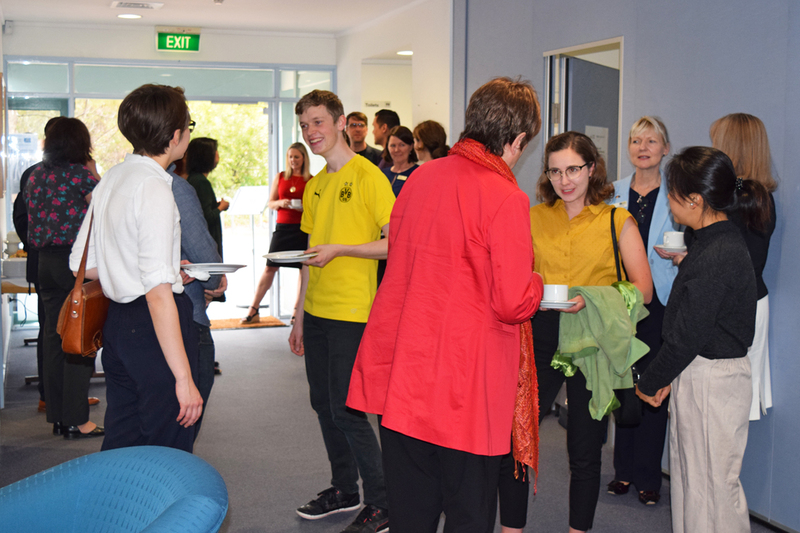 Dr Rüland's visit to ANU concluded with an afternoon tea with Dr Beatrice Gorawantschy and Ms Barbara Rundel from ANUCES partner Konrad-Adenauer-Stiftung, as well as ANU academics and German studies students.